In late 2015, the City Council and Scottish Government agreed to work together to deliver a Community Budgeting process in Glasgow. The Government provided £100,000 funding to the Council to conduct a Community Budgeting process by June 2016 and to capture the learning from this. Each of the city’s 21 Area Partnerships also agreed to contribute monies to be used for a community budgeting exercise. Each CPP local Area Partnership agreed to provide funding and assistance in delivering their local Community Budgeting events. Officers from Partnership & Development in the City Council provided practical support and facilitation to Area Partnership members in organising and delivering each of the events. A project group was formed to manage the development and delivery process. Consultants from PB Partners (an external consultancy which advises on how participatory budgeting is delivered across the world) provided training and advice on Community Budgeting processes to members of Area Partnerships through a number of events in March and April 2016. 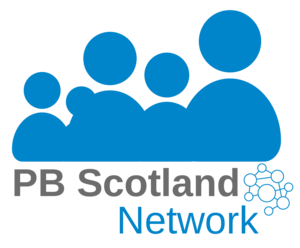 In addition, external support was provided to applicants of funding by IBP Strategy & Research, focusing on how applicants might best present their bids at their local events. Each of Glasgow’s 21 Area Partnerships match funded the Scottish Governments allocation of £100,000 to create a pot of £210,000 for disbursal using Community Budgeting as the method. £10,000 was allocated to each Area Partnership who called for funding applications, eligible applicants were then invited to attend a Community Budgeting event in their Ward to present their proposal to the general public. Members of the public in attendance were asked to score each proposal with marks out of 5. The projects with the highest score/s were awarded funding until the £10,000 was fully allocated. Details of the 119 successful projects, and their individual awards can be found online here. In addition to the funding allocated specifically for Community Budgeting, Glasgow City Council committed a further £9,000 revenue funding for the implementation and support costs associated with of this development. This equates to just over 3% of the Community Budgeting funding allocation used for implementation costs.